Nando's known for their flame-grilled PERi-PERi chicken has always captured taste buds with their PERi-PERi concoctions. For this enchantingly festive season, these expert chicken grilles are bringing in more of that African flavor to your Nando's meals ! 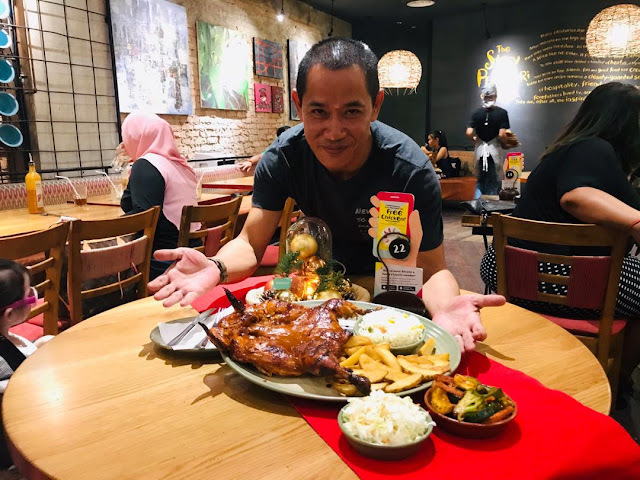 "We wanted to give our fans a taste something magical this season with our flamed-grilled PERi-PERi chicken and that is how Smoky PERi-PERi came to be. Over the years we have dabbled in different recipes to find that special taste that will gives our fans something new that they can enjoy and we decided to try it out with Smoky PERi-PERi. it delivers a fantastic combination of flavours that is exciting and uniquely Nando's yet familiar at the same time"
Experience the new, enchanting Smoky PERi-PERi on everything that you can before it disappears. The best way would be to celebrate the festive season with the Smoky PERi-PERi platter for 4 only RM 99.00. 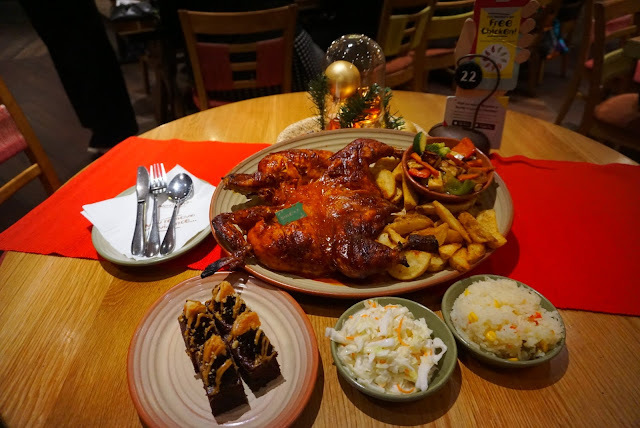 It includes mouth-watering full chicken with 4 tasty sides, 4 bottomless soft drinks and the all-new Salted Caramel Cake Bites ! In the season of giving, Nando's in Kota Kinabaluis inviting you to share the Christmas spirit with Sabah Autism Society. Drop a little gift by 31 December 2018 at either Nando's 1Borneo, Nando's Imago or Nando's Oceanus Waterfront and receive one Nando's 1/4 Chicken with Mediterranean rice Voucher as a token of our appreciation ! 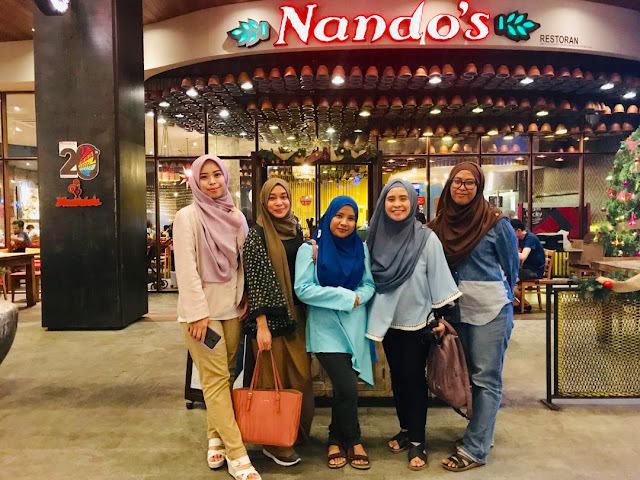 Placing importance not only on its perfectly flame-grilled chicken, but on its flavours as well as the community, Nando's is always up to the challenge to elevate their dining experience to another dimension and in giving back to the community. 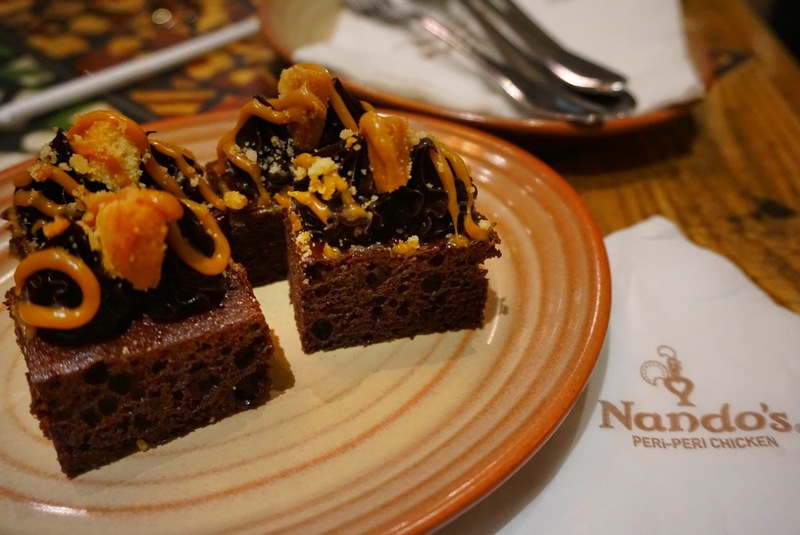 With inspirations from different cultures all over the world, Nando's aspires to gather and lay out the best there is on the plate down to the finest details.